Screw Machine Parts made on CNC Machines - Auto bar feeders.PWA,Inc. 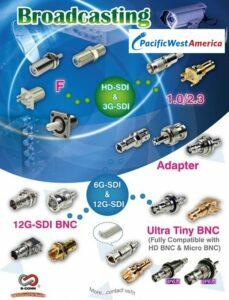 Pacific West America, Inc. is a reliable supplier making Screw Machined Parts to your drawings. Send us a drawing for quoting. We are competitive and offer excellent quality and precision. Screw Machines are great for metal-threading applications. 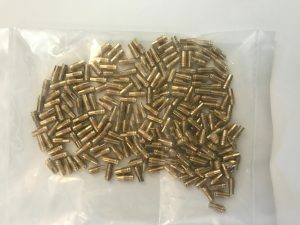 There are a few different types of screw machines out there such as Citizen Swiss Machines and Davenports, but what all of them have in common is that they are quite good at making smaller diameter turned parts cost-effectively. The complex higher precision parts used in electronics are machined on the Swiss Screw Machines. The Davenports can make simpler parts like standard screws and threaded rods. SCREW MACHINES ARE MORE COST-EFFECTIVE THAN LATHES FOR MAKING SMALL DIAMETER PARTS IN HIGH VOLUME. Screw machines are designed to drop the cost of manufacturing small turned parts. Most are single-spindle machines that make one part at a time. For high volume production, there are multi-spindle machines that make many parts at the same time. The material which parts are made of makes a difference in how long they will last and what kind of environmental conditions they will hold up under. For example, Stainless Steel and Regular Steel are quite different and regular steel will corrode if it doesn’t have a finish like zinc plating. Carbon Steel is stronger than regular steel. Some screw machine parts are made from plastics such as Delrin and Acetal. The rate at which you can machine the material makes a difference in the cycle time to run each part. Harder materials take longer to cut on the machine which creates a longer cycle time and makes them more expensive. There are custom and serial screw machine parts. The latter is designed for a variety of standard applications like screws and threaded rods. Most work that is outsourced to screw machine shops like Pacific West America, Inc., in Calabasas, CA, is custom work and designed by Mechanical Engineers. Many customers initially have their Mechanical Engineers find machine shops for manufacturing the parts they design, to ensure quality and precision is met. Purchasing Departments then send the drawings created by the Mechanical Engineers to the sales office of the Machine Shop when the company is ready to place ongoing orders. CNC Machine Shops receive these drawings from the customer normally via email or website upload, and they are in Adobe PDF format. For complicated parts, 3D files like SolidWorks, or IGIS Files are sent. These files are used to better visualize in 3D what the part looks like. There is less guesswork as to the dimensioning of complex features that may be difficult to see in a two-dimensional drawing. So it can be quoted more accurately and at a lower price. When looking for a manufacturer of screw machine parts, you should always focus on a machine shop’s ability to offer the precision needed, and the quality system necessary to meet all the requirements of your application. All specifications on the drawing must be taken into account when making machine parts. Precision machined parts offered by companies such as Pacific West America, Inc. in Calabasas, CA meet tighter tolerances and are more familiar with meeting specifications like the ASTM standards. Shop Travelers are important to maintain quality, and as parts move through the machine shop, it is important that they have a shop traveler with them. High precision machine shops are more familiar with this. Many times the CNC operator will do a dimensional inspection of parts at his station to make sure his machine is operating properly and maintaining the tolerances it is supposed to. CNC machines need regular maintenance and calibration to ensure a high level of precision and quality. Shops that cut corners will run into issues when the parts make it to final inspection. It is better to have a well-run quality oriented machine shop that cares fervently about quality and precision, and maintains quality controls throughout the whole machining process. It is more time-consuming in the short run but far superior in the long run. Furthermore, every buyer should know that screw machine parts are made in a wide array of materials from aluminum to brass, stainless steel, carbon steel, etc. Stainless steel comes in a variety of types such as 301, 302, 304, 317, 18-8, 416, etc. 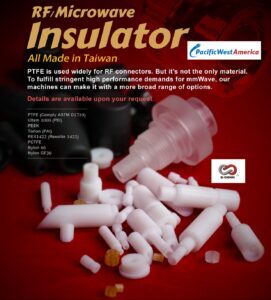 There are many factors to consider when choosing materials. Some materials are more resistant to corrosion and have many other different properties to consider such as hardness, strength, and weldability. Some stainless steel has elements in it that allow welding and heat treating but will cause it to rust easier. Some materials have toxic elements that are not allowed in products shipped to certain countries. RoHS requirements in European countries require certification of the chemical composition of the materials to ensure it meets their legal requirement regarding toxicity. Other materials used in machining are plastics such as Delrin, Acetal, and Nylon. Whether you are focused on electronic or optical instruments, telecommunications equipment, sporting goods, valves, fluid components, or agricultural equipment, your components that fall in the category of screw machine parts, they can be made by a precision screw machine shop. One that maintains a clean facility with excellent quality controls and precision equipment and has the proper certifications is a valuable resource. Having a variety of CNC Machines available means the most cost effective method of manufacture can be quoted. These parts come in different shapes and forms and companies like Pacific West America, Inc. in Calabasas, CA, will know which CNC machines to run these parts on to provide a good price and quality. Some parts may require EDM, broaching, hobbing, or other second ops. 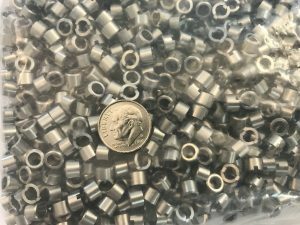 Some screw machine shops only work with the course or medium threads and don’t offer knurling or the ability to make hex sockets. Shops such as Pacific West America, Inc. in Calabasas, CA are knowledgeable with a variety of thread gages and knurling tools and even superfine threads used in high precision instruments. Exacting standards for thread gages used to check parts with super fine threads are important to the quality and performance of devices using them. Knowing to thoroughly clean the threads in ultrasonic tanks to remove all residue is important to the performance of these super fine threaded parts. There is an opportunity for every buyer and mechanical engineer to find and purchase parts and individual components that meet their company’s demanding requirements. A clear sign that you have found a good machine shop, is if it is knowledgable and responsive to your requirements, and provides friendly accurate service with on-time delivery on an ongoing basis. Finding the best screw machine shop is not an easy task. 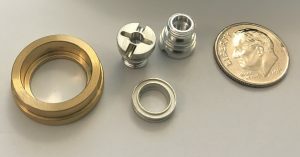 At our company based in Calabasas, California, we have a track record of outstanding service in supplying screw machined parts to major corporations. We use high-quality materials to machine the perfect screw machine parts for precision applications. Many customers have been with us for over 15 years and are in industries such as optics, telecommunications, electronics, home security, industrial, sporting goods, and other industries. We are following the latest news and changes in this field to implement them in our machining processes and procedures. Screw Machine Parts. High Volume. Screw Machine Parts made to perfection. 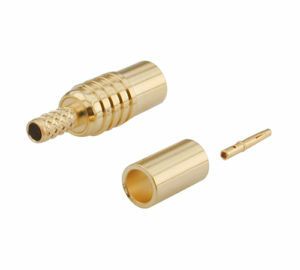 Small intricate machine parts with tight dimensional tolerances made on Screw Machines in high volumes. Auto bar feeders enable 24/7 operation with little human input for a great value. Please upload your drawings for a quote.